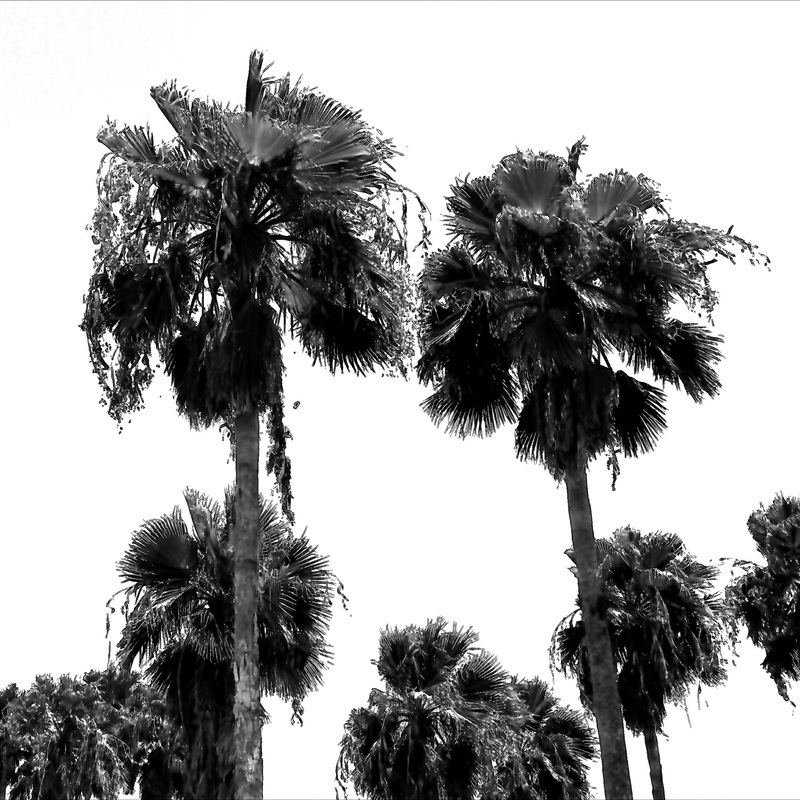 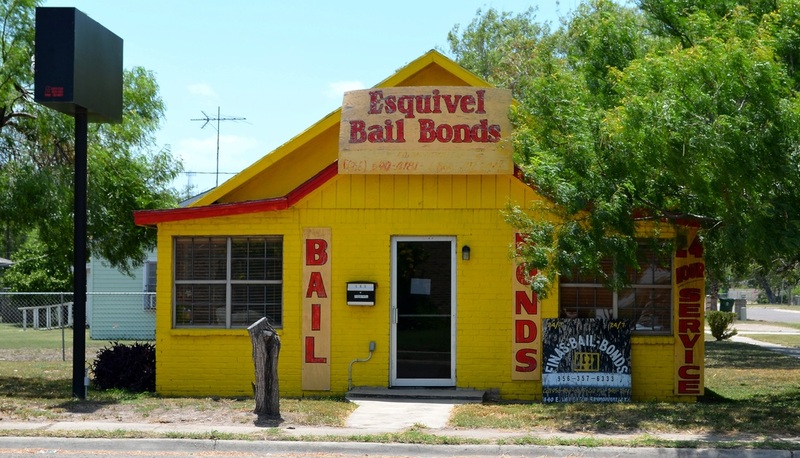 "Willacy County, in the Rio Grande valley of South Texas, is thirty miles north of Mexico. 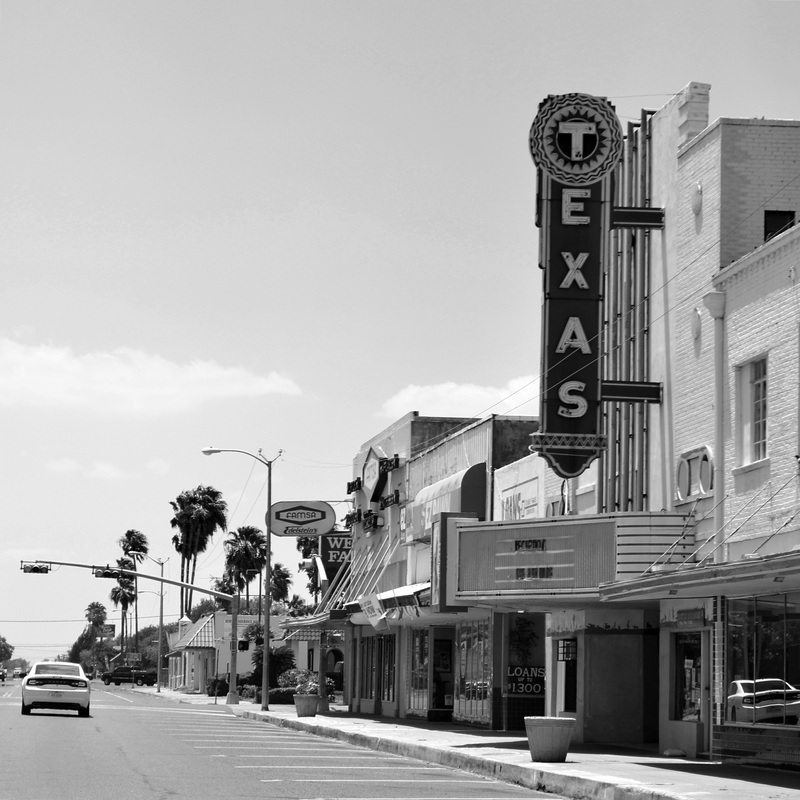 The county was the 253rd county to be formed [in Texas] and was named for state senator John G. Willacy. 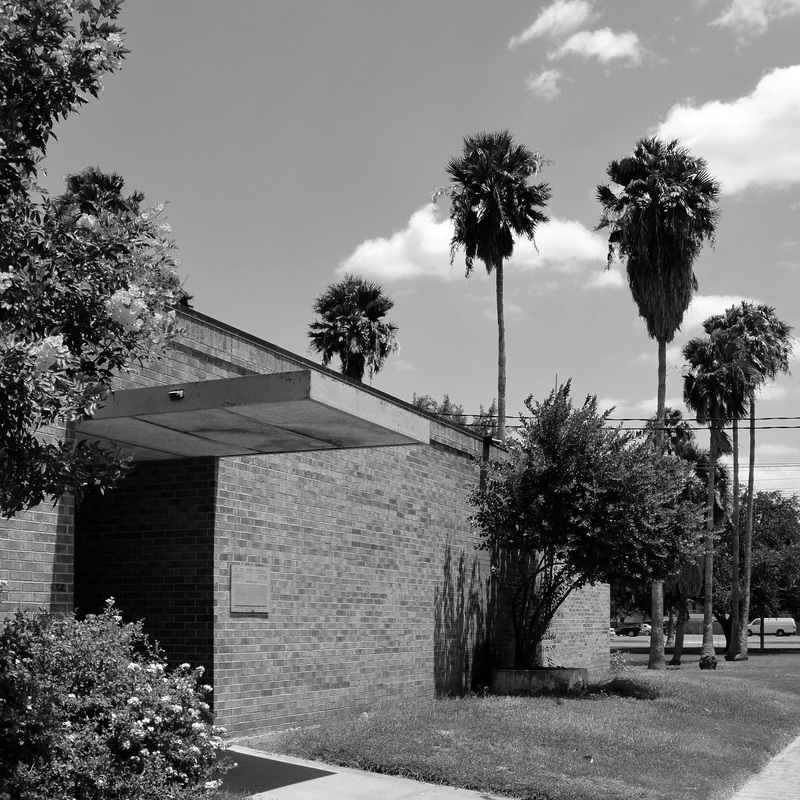 "The county area fell within the territory between the Rio Grande and Nueces River, disputed after the Texas Revolution. 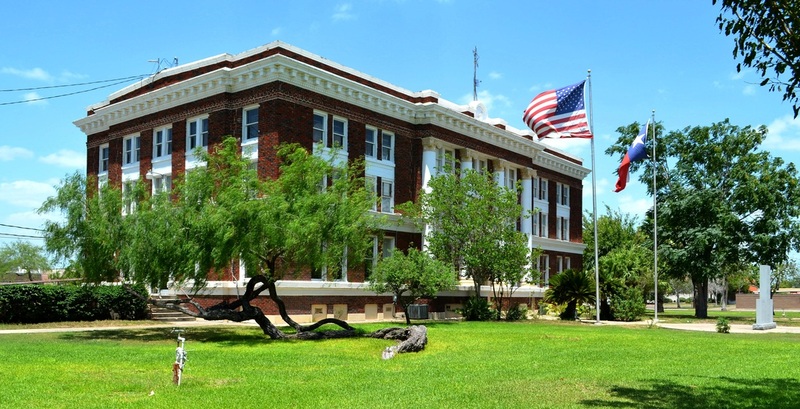 "In 1911 Willacy County was formed from Cameron and Hidalgo counties; the county seat was Sarita. 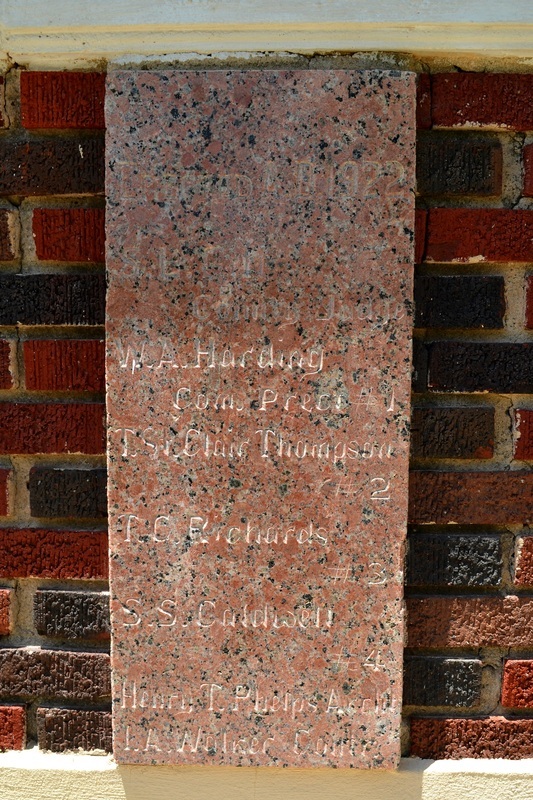 farms, ranchers (early white settlers) sided against farmers (newcomers); the division led to the reorganization of the county. 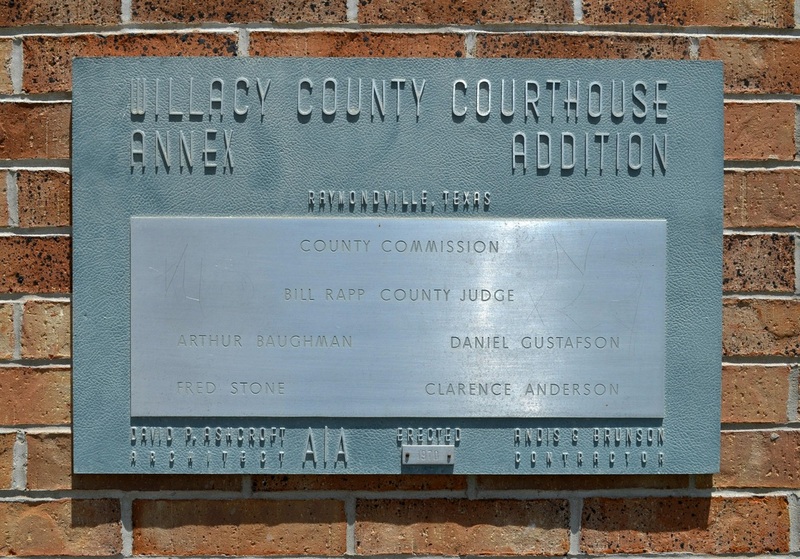 The original Willacy County extended along the coast from the Nueces River to Cameron County. 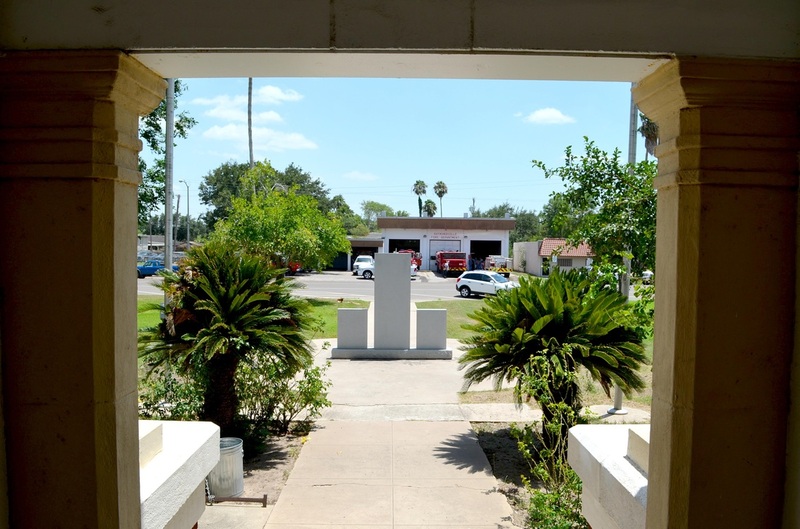 When reorganization occurred in 1921, the ranching area in the northern regions of the county became Kenedy County, and a small strip of land on the southern border was made the new Willacy County. 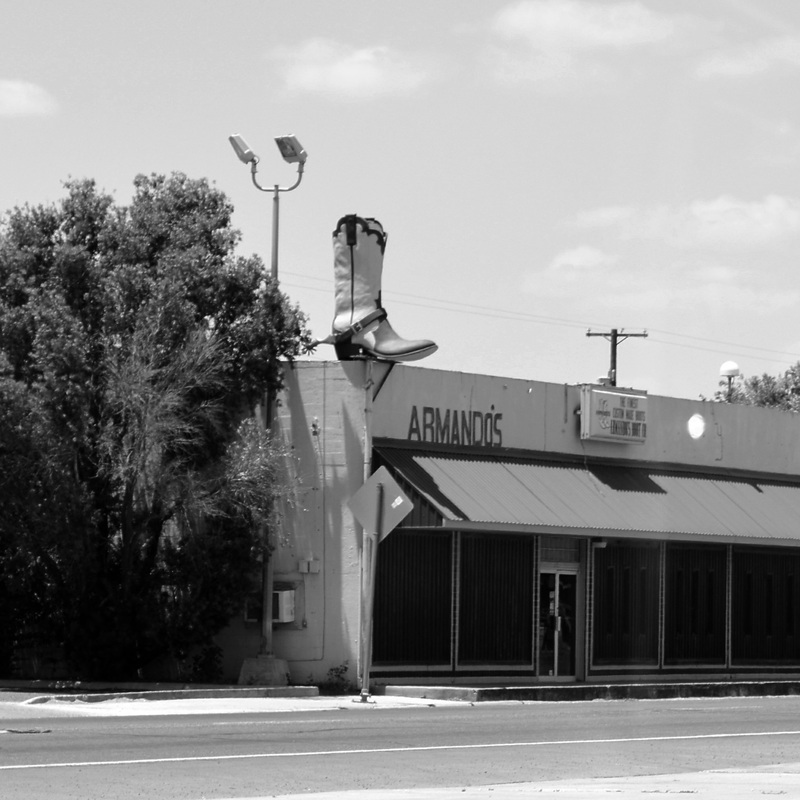 "Raymondville was chosen as the county seat, amid much protest from Lyford residents." 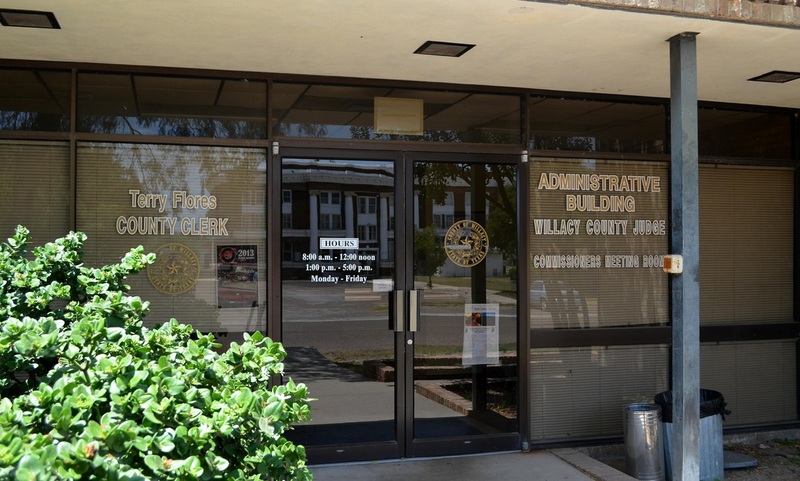 I visited Willacy County and photographed the courthouse in Raymond-ville on April 27, 2010 and again on July 27, 2014. 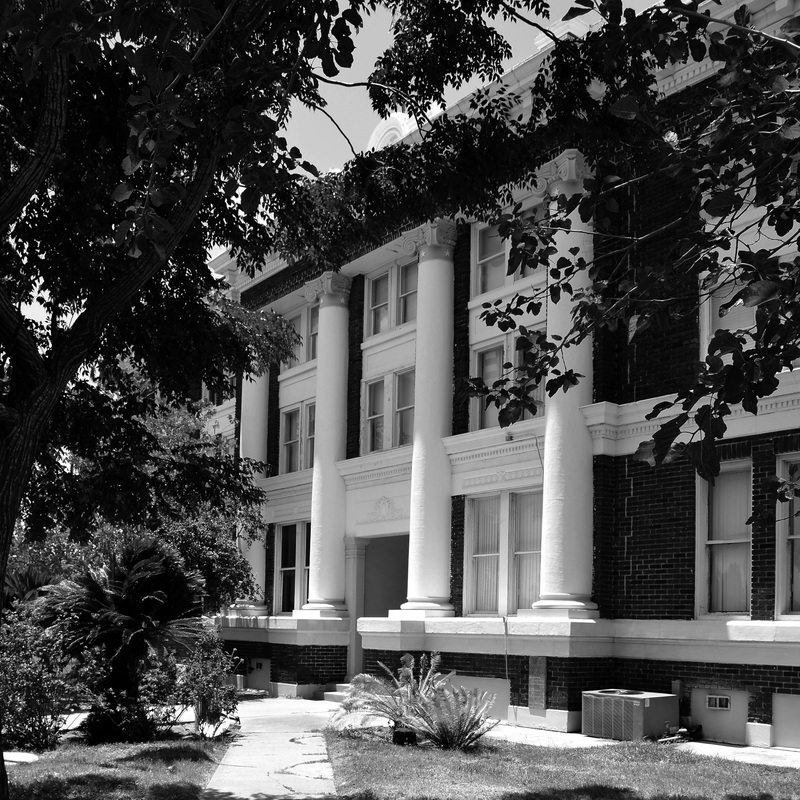 Architect Henry T. Phelps designed this classical revival style courthouse when Willacy County shed its courthouse in Sarita in 1921. 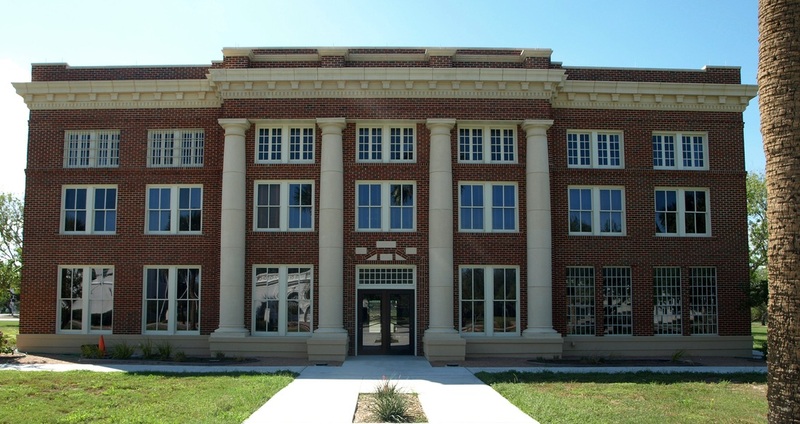 Phelps also designed the Kenedy County courthouse in Sarita, Texas. 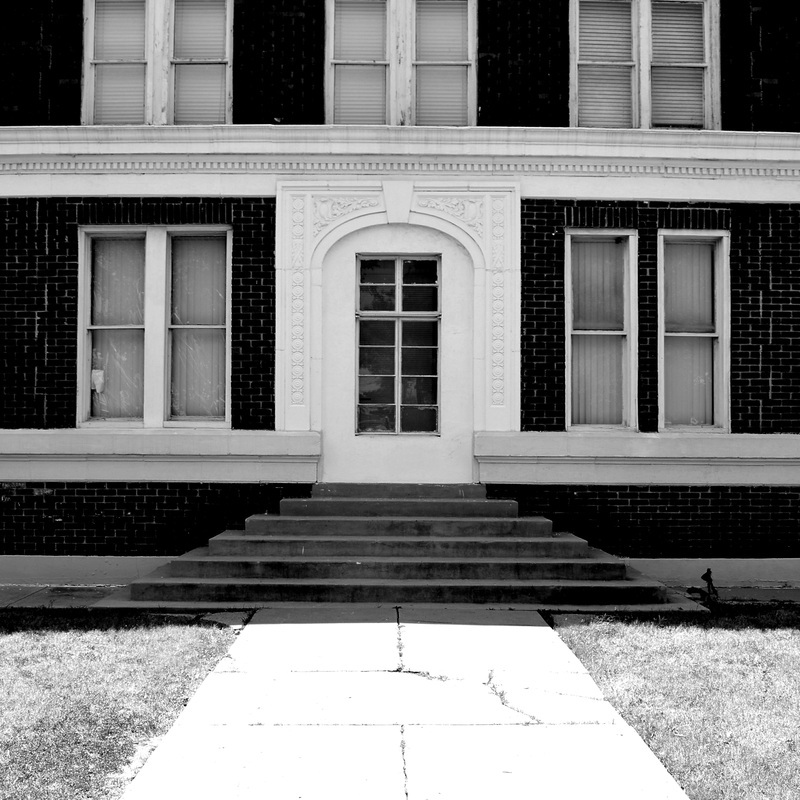 Kenedy County courthouse, Sarita, 1917. 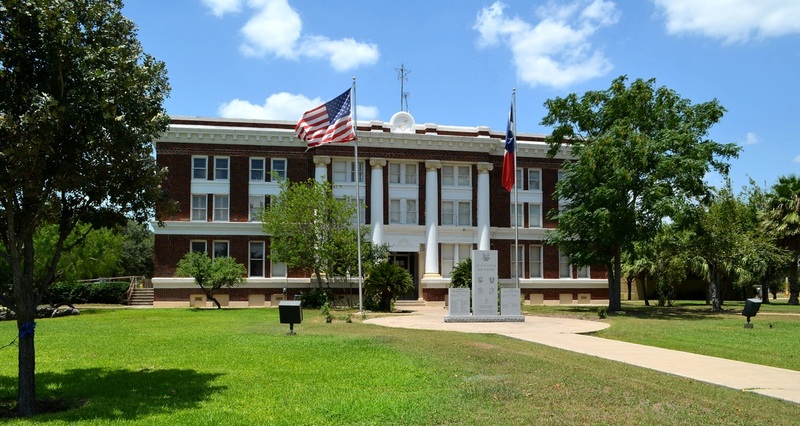 The Texas Historic Courthouse Preservation Program Round IX Grant Recipients (July 22, 2016): Willacy County--$402,970 emergency grant award to address outdated systems and infrastructure, and repair deteriorated conditions, due primarily to moisture infiltration. 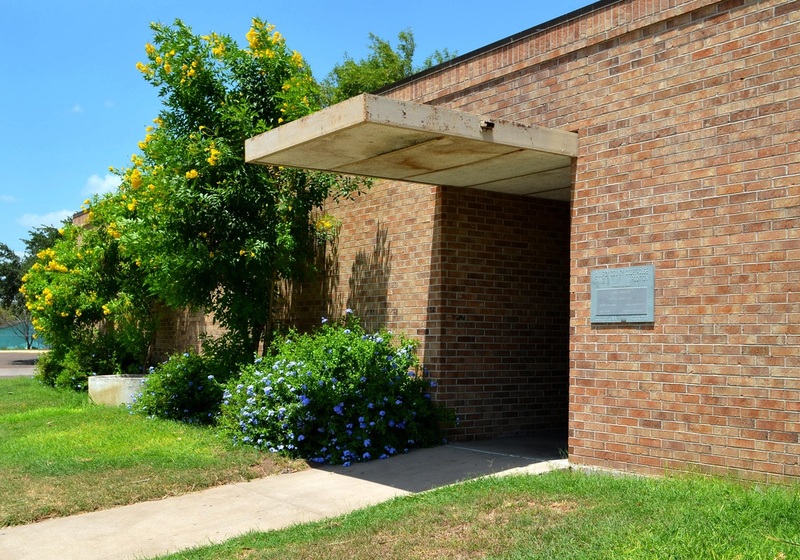 Permanent sump pumps and outlets from the basement will remove standing water accumulations and reduce the humidity levels in the building. 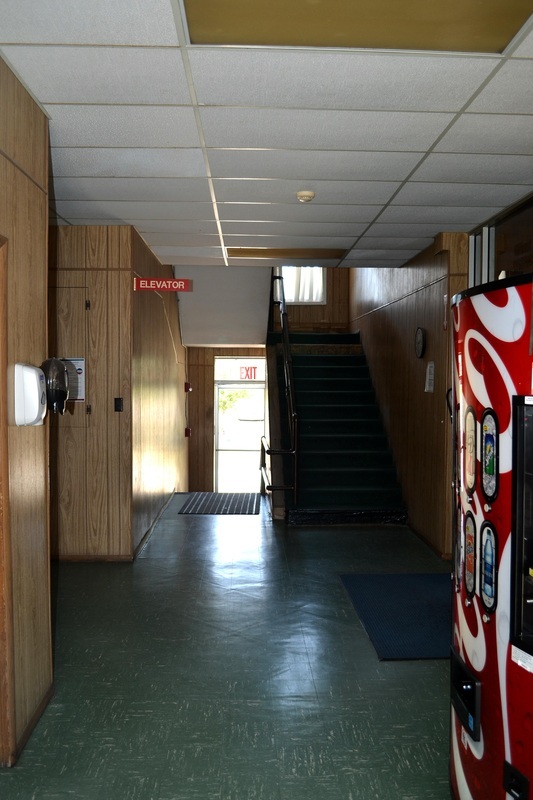 Selective demolition will remove non-original dropped ceilings and paneled wall surfaces.